Cast stone is heavy. Care should be taken when lifting these items and HSE guidance must be adhered to. 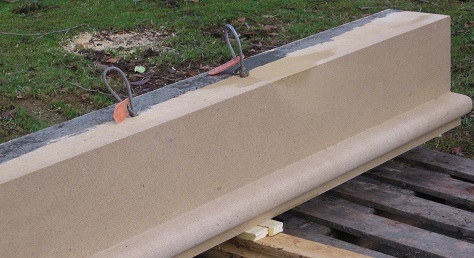 Where mechanical lifting is required, we will cast lifting sockets into the stone and provide lifting loops. We are very happy to discuss your lifting requirements before manufacture. It is up to the site personnel to ensure that suitable lifting equipment such as cranes and weight tested lifting straps are available when required.